Feel recharged and refreshed. Find purity and balance in one extraordinary cleanser, alive with the vital energy of plants. Begin and end each day with a gentle, plant-derived gel cleanser that foams away oil and impurities and helps normalize skin. For normal to oily skin. Dermatologist tested. 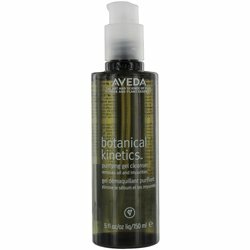 Enriched with lavender and vitamin E.
Aveda's own pure-fume aroma with certified organic grapefruit, geranium, mandarin, and other pure flower and plant essences.